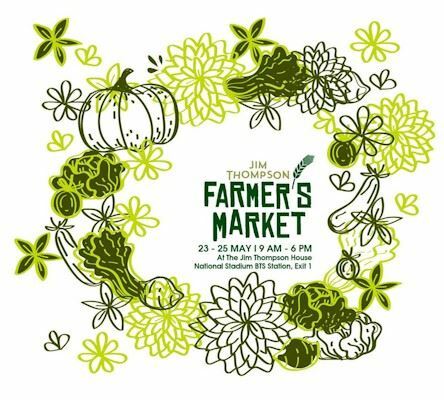 Come and visit us at Jim Thompson Farmer's Market in downtown Bangkok! Fresh veggies, flowers, plants, healthy snacks, honey, tea, foods and more. When: Friday 23 May, Saturday 24 May and Sunday 25 May, 9 AM - 6 PM. May 23: Holiday Inn Express Bangkok Siam, Rama 1 road. May 24, 25: Nissan Showroom, Siam Kolkarn Building, Rama 1 Road. Like & Share with your friends if you'll be coming to see us!